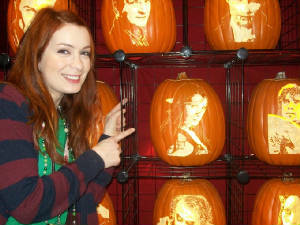 Felicia Day with her Talis carve! 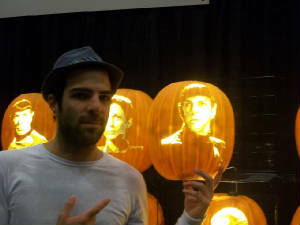 Zachary Quinto (Spock/Sylar) with his carve! 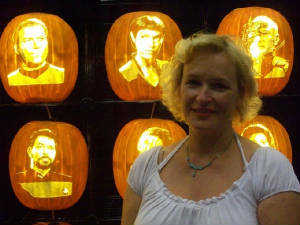 Gene "Rod" Roddenberry with Nurse Chapel! 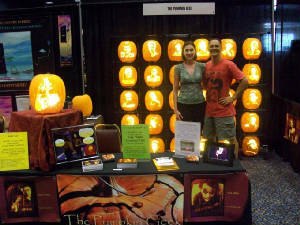 Elizabeth Dennehy was so kind to stop by! 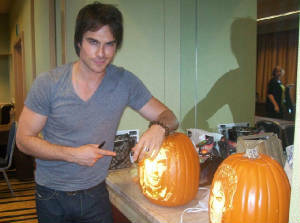 Ian Somerhalder proudly showing off his carve! 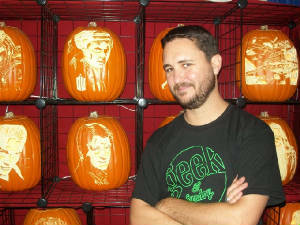 Ultimate Doctor Who fan, Wil Wheaton! 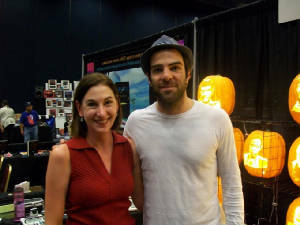 Has "Mrs. Geek" found someone else!?! 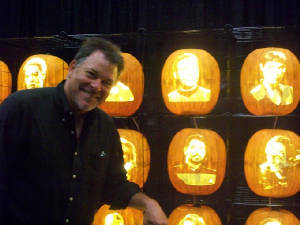 Johnathon Frakes (Cmndr. 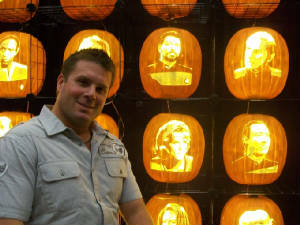  Will Riker) with his carve! 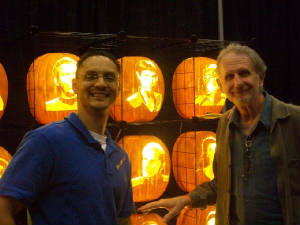 Rene Auberjonois (Odo) with his carve!